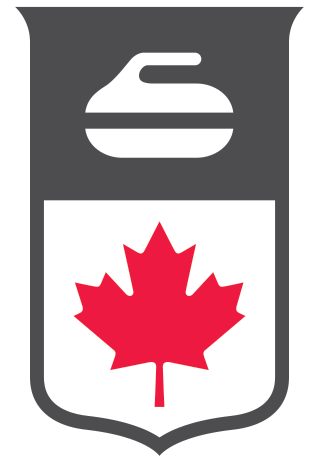 Curling Canada is committed to maintaining and protecting the confidentiality and privacy of our users’ personal information. Before implementing the Google Apps service, we looked at the privacy implications and ways to help ensure that personal information is protected in accordance with Curling Canada’s policies on personal information and with applicable legislation governing personal information. An in-depth whitepaper on how Google protects your data. Will Google own the data that is stored in Google or passes through Google servers? Google does not own Curling Canada user data. Data in @curling.ca Google accounts is the property of Curling Canada. The agreement that Curling Canada has entered into with Google has no impact on the intellectual property rights or ownership of Curling Canada user data. What steps has Curling Canada taken to ensure that my privacy is protected? We have taken the appropriate steps to ensure that your privacy rights are safeguarded. Passwords are not shared with Google. Our contract with Google prohibits Google’s access to email content, except to exercise rights and fulfill its obligations under our Agreement, including situations of Services abuse or technical threat. Google is also committed to your privacy and to ensuring the confidentiality and security of your personal information. Their security policies include provisions on the protection of your data against threats and unauthorized access. What personal information is shared with Google? A limited amount of user information is shared with Google in order to create a Google-powered user email account. The following personal information is provided: first name, last name, username, and email address to validate against our authentication services. Google has some access to your account as explained in the Terms of Service. Google has agreed that Curling Canada is not granting Google any rights, implied or otherwise, to content. Google is not permitted to conduct data mining. Google has also agreed that the default setting is that Google is not permitted to include advertising in our user accounts. Google employees may be granted temporary access to your email for troubleshooting purposes or to ensure the integrity of the services provided, but only with the approval of Curling Canada’s Information Services and Technology department. Can Google share my personal information with any third parties? No. Our agreement with Google states that Google is not allowed to share users’ personal information. Who is responsible for protecting the data stored in or sent from my @Curling.ca Google account? Users continue to be responsible for how they use and share confidential information (including personal information) in accordance with organizational policies and procedures, as well as Curling Canada’s Code of Conduct. Users have an obligation to promote responsible, ethical and secure use of services. Google is also responsible for protecting and maintaining the security standards of the facilities it uses to store and process end-user data. Where is my @Curling.ca Google account data stored? Google offers a number of features to keep your information secure. However, any email may be the target of Internet predators, which is why it is important to have a strong password and not to share your confidential information with others. It is best practice to assume that your email is not 100% private, regardless of the service provider. Never provide your password or other personal, secure information via email. Gmail’s tips on keeping your account secure. Ontario’s Information and Privacy Commissioner issued a discussion paper entitled “If You Want To Protect Your Privacy, Secure Your Gmail” (2009). Are users offered any spam protection? Google includes spam protection with their service. Spam is automatically directed to a spam folder and purged after 30 days. The service also includes safeguards for virus checks and verifications before downloading data. However, not all spam protection is 100% effective. It is still up to you to exercise some caution when communicating with unfamiliar sources or downloading attachments. If you have questions about the functionality of your Curling Canada email account, contact our Help Centre at 613-834-2076 ext 152.